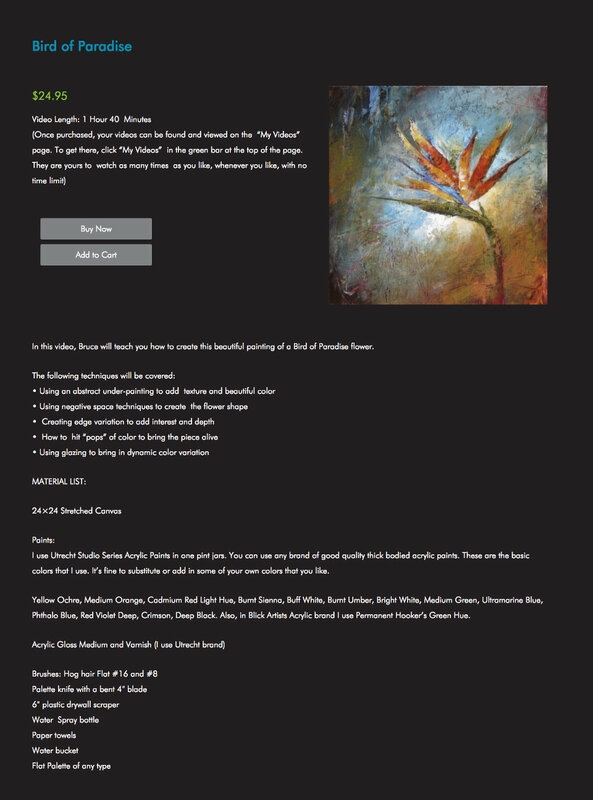 This custom Genesis WordPress theme is for an artist to sell online acrylic painting videos. The artist has a unique style, and his teaching videos reflect how much he loves to paint. 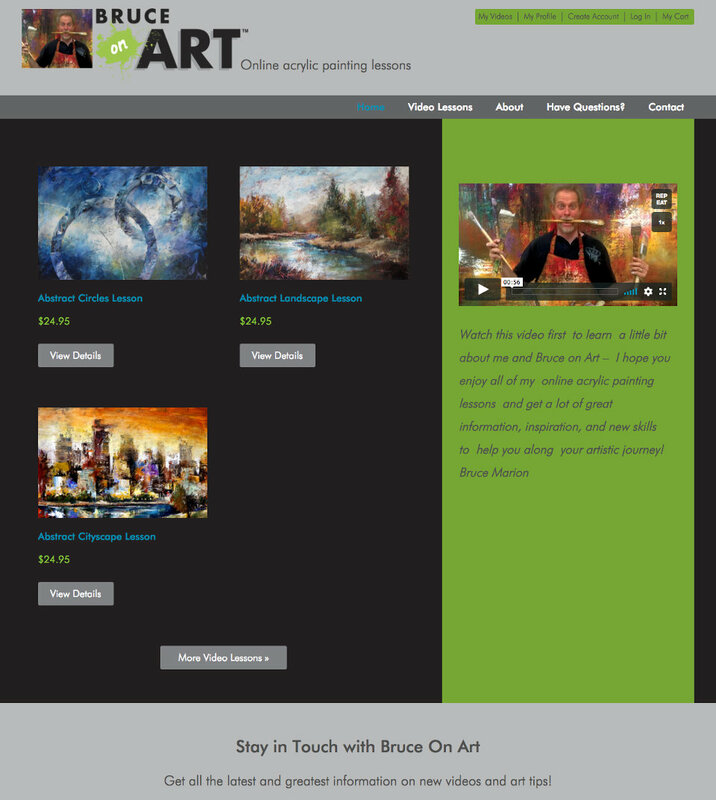 The website features several custom post types and custom templates for the store products and the video lessons. There is also a store page for selling the videos. Once a client purchases a video, they have access to the video and can watch as often as they like. This image shows a detailed e-commerce page, using iThemes Exchange (now NinjaShop).